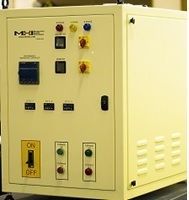 Over-temperature read-out and related control provided with PLUS models only. UL Rated displays. cUL and UL panels on request. Please note that there will be some differences between the Panels offered for different devices. This is required for optimizations or meeting price points. Please refer to your specific quote for features. BPAN-O-PLUS backface pictures with COMM options). Typical only. Please refer to specific quote numbers for a precise call-out of the features. 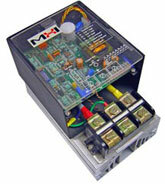 Optional: Digital communications RS232/485 120V and 220V/ models as quoted. 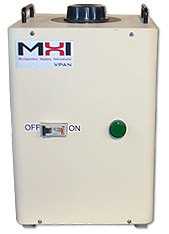 220V bpan models up to 6-8 KW. 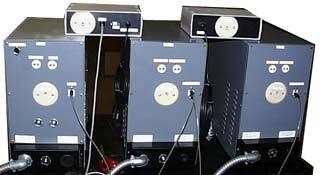 The 120V models up to 1.5KW. 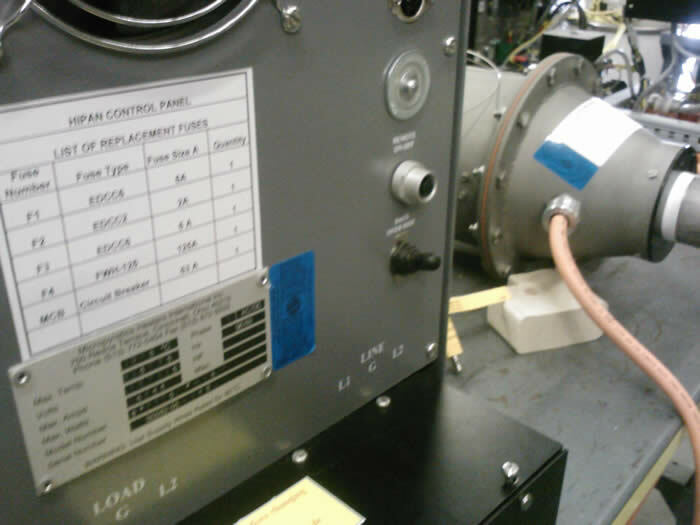 The corresponding PLUS models will have over-temperature controls. BPAN Dimension: 8 1/2” (H) x 12 ¼”(D) x 19 7/8”(W) (Includes Conduit Connector Extender in the depth dimension). Please note that the dimensions will differ for specific panel ratings for cUL and others. Optional digital communications are offered as options. 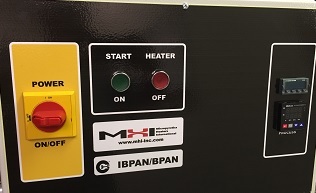 HIPAN control panel back. Typically customized. 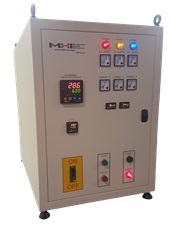 A complete range of SCR SINGLE and THREE PHASE power controllers are available from MHI. SCR's for MHI Panels only. 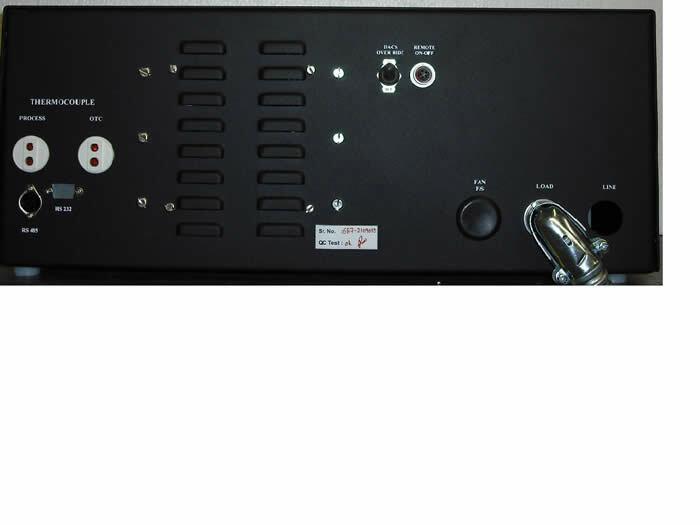 When requesting a quote please confirm Model Number and Serial Number of Panel. 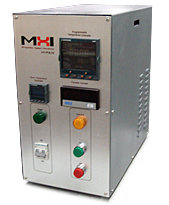 Multiple Zone Control Process or Programmable Temperature Controller. 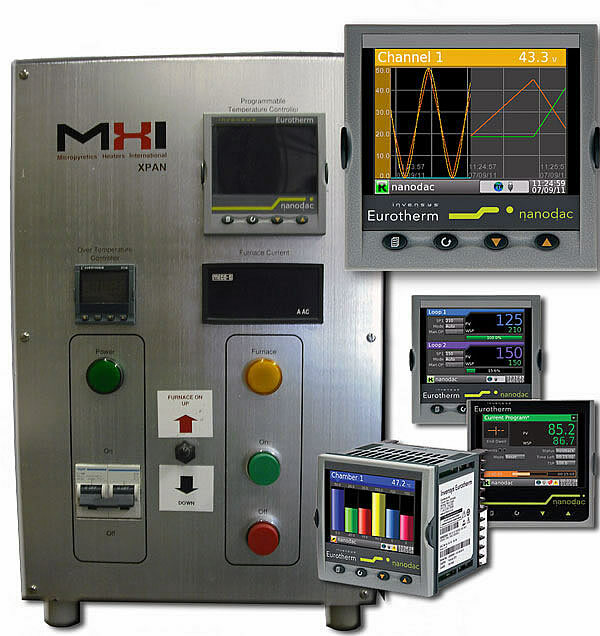 For custom control panels Contact MHI for additional details. 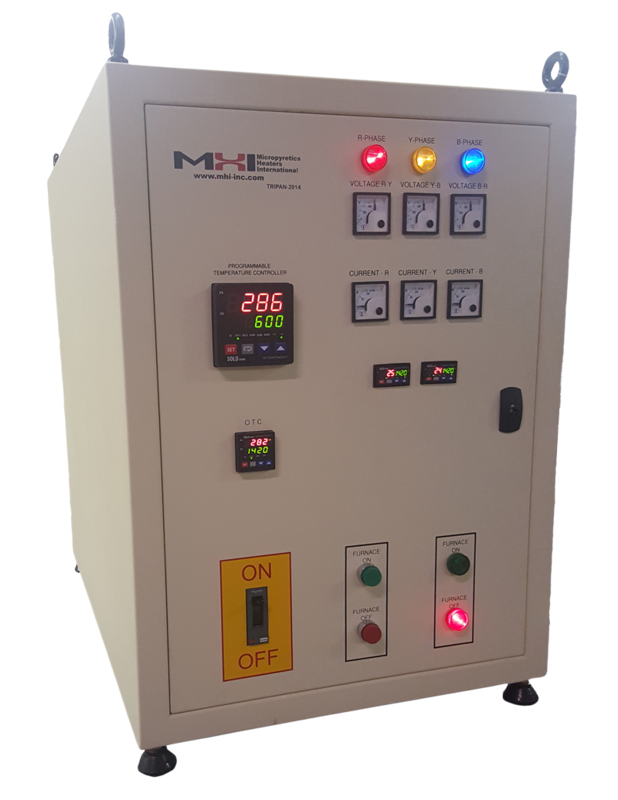 Multi-zone process controllers are custom made for complex/continuous heating solutions. Calculate 3 Phase Power. Size and weight optimized for the greatest flexibility. Can be remotely located. Easy to connect. Easy to use. 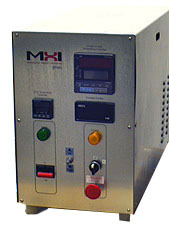 Airtorch™ controllers offer infinite analog, FANCS or programmable temperature capabilities. Note: All pictures shown are only typical basic configurations and not necessarily representative of a your controller. Always contact us for your particular configuration.